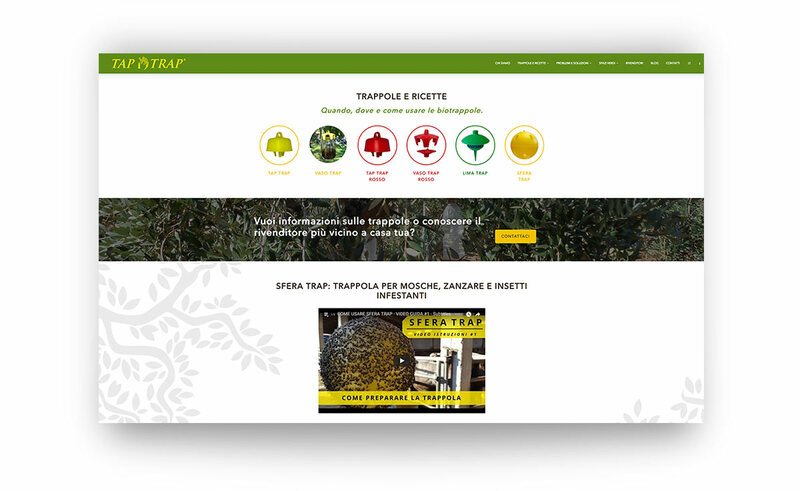 Tap Trap is the company producing and patenting natural traps for harmful insects since over 10 years. The traps are designed to protect green spaces such as vegetable gardens, orchards and stables, respecting the environment and the needs of the farmers. The company is currently selling worldwide 6 different varieties of traps for different types of insects. The project was realized by our Drupal 8 development team. The Drupal 8 CMS was chosen for its great multilingual capabilities and for the ease to create simple models to support complex requirements. 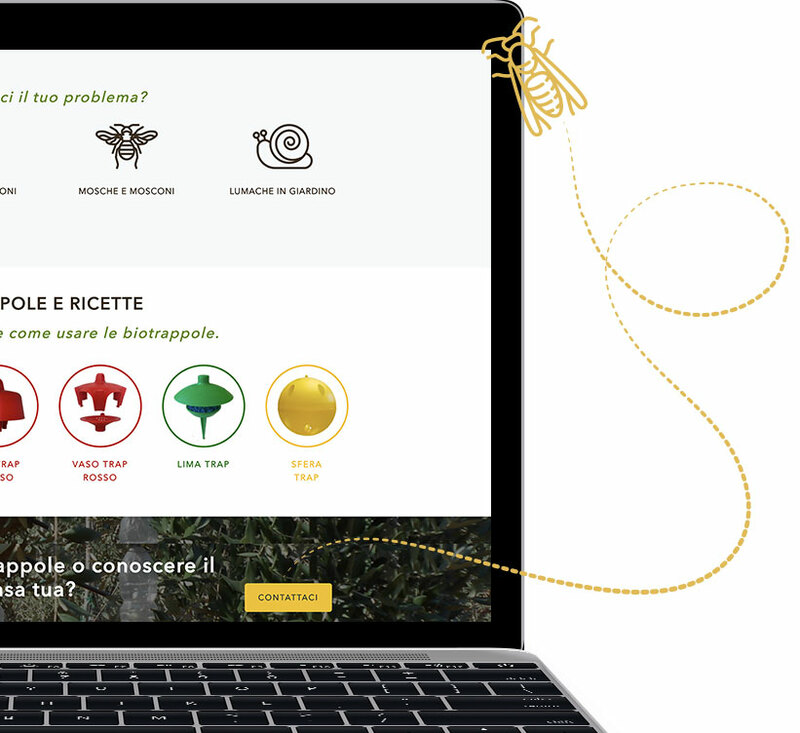 The site has been designed for an heterogeneous target: from farmers, breeders and professional beekeepers, who can recognize harmful insects and the damage they can cause, to hobbyists and DIY lovers who want to protect their environments in a natural way. Users in fact may choose their preferred way to navigate the website: from the specific environment that has to be protected, to the type of insects we want to catch. For every “danger” there’s a specific corresponding trap, which is associated to a variety of baits that complete the catching system. In order to help users to fully understand the benefits and functionalities of the traps, and improving their user experience while navigating on the website, specific logos for each trap have been designed and applied by using an effect showing the static image of the product on one side and the picture of a possible application on the other. This effect is activated by hovering on the picture with the mouse pointer, in this way the two images interchange. With this trick, users who are not expert or don’t know the possible uses of the traps, can see one of its functionalities in a concrete and immediate way. Moreover, we have added some personalized icons representing insects categories and green spaces to protect, with the aim of helping users to easily find the right trap for their needs. 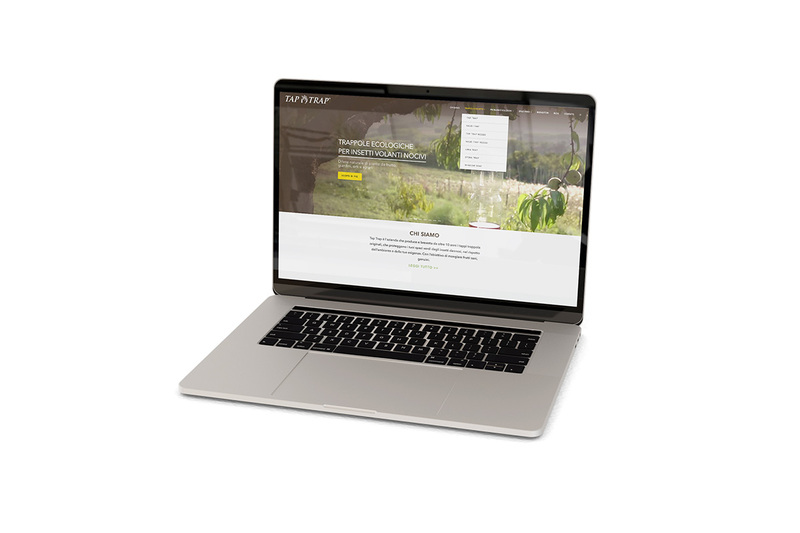 The new Tap Trap portal is a responsive and SEO optimized website, adapting to the visualization from desktop and mobile devices. Finally, it’s been realized in three languages: Italian, English and French.